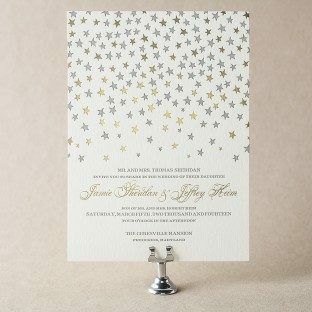 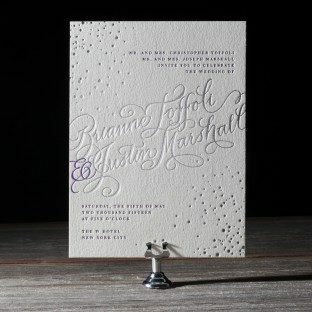 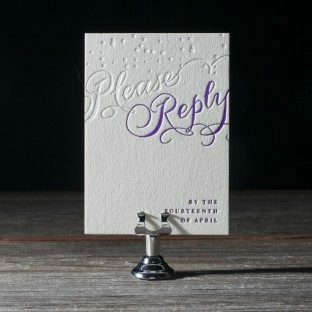 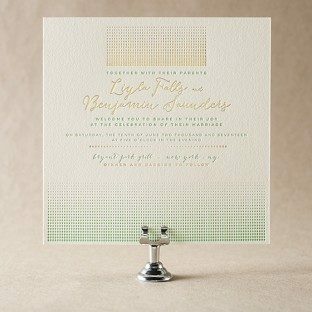 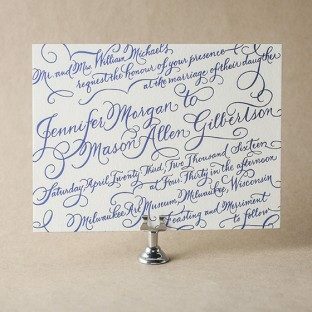 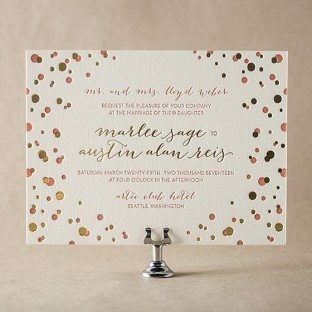 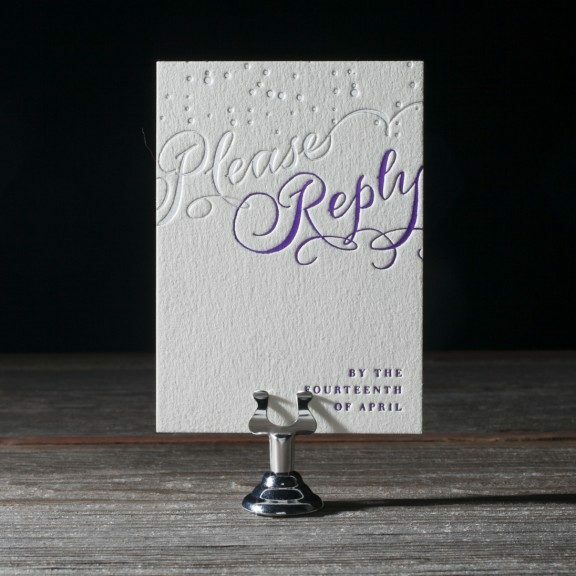 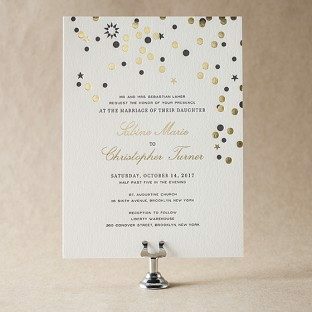 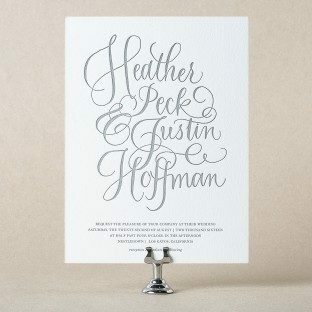 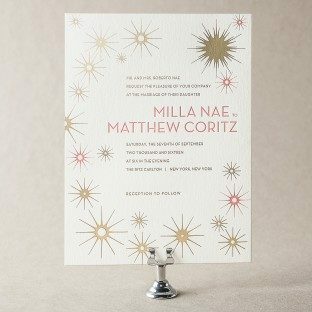 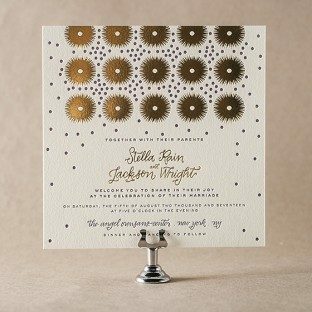 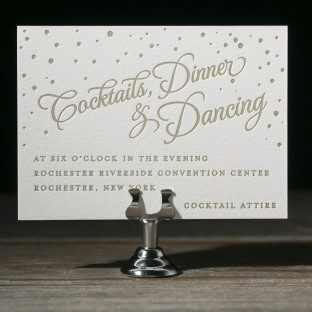 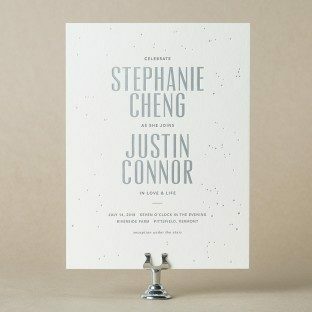 Designer Sarah Gluchacki has taken Debi Zeinert's sophisticated Revolution hand calligraphy and paired it with vibrant confetti-like dots in this letterpress vision of romance. 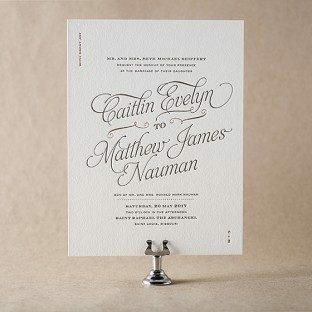 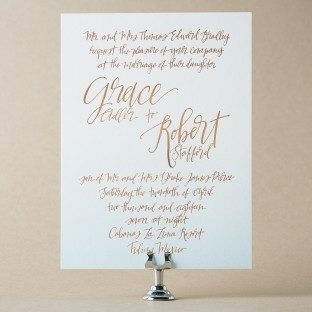 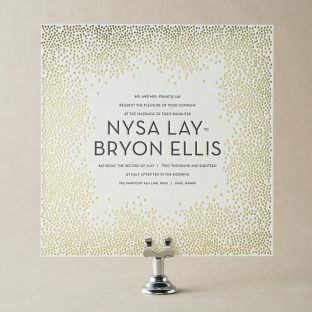 In a momentous jolt of celebratory grandeur, Gilded Romance letterpress invitations set the stage for an extravagant wedding to come. 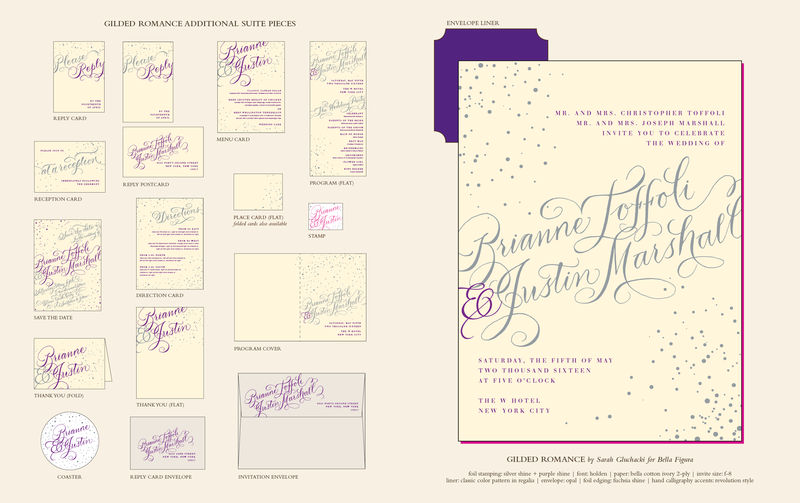 View additional pieces in the Gilded Romance sample suite. 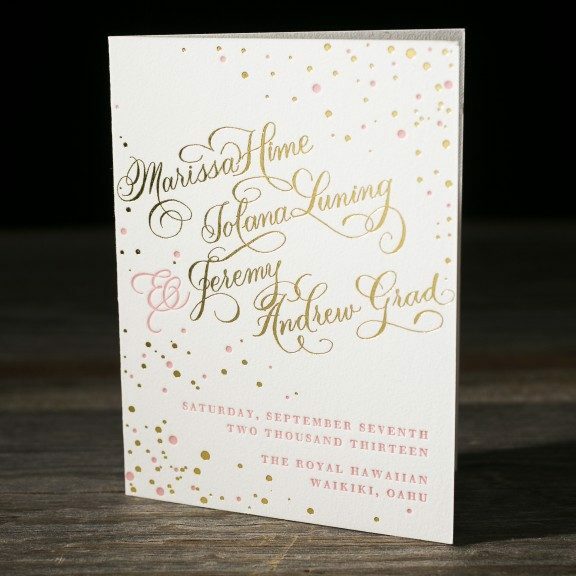 These Gilded Romance program covers pair British Rose ink with gold matte foil on our white Bella Cotton paper. 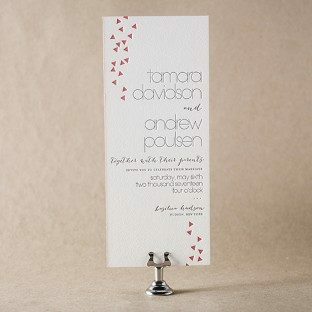 Revolution styled hand calligraphy accents from Debi Zeinert add to the festive yet romantic look. 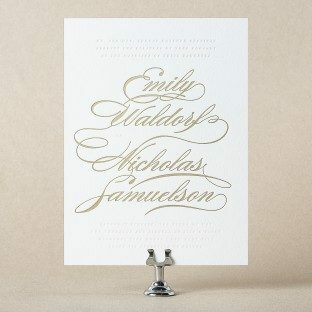 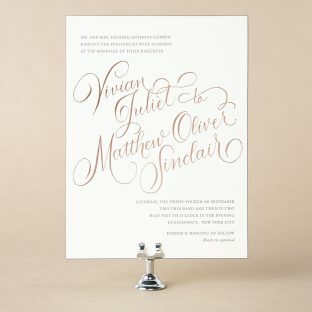 These Gilded Romance reception cards were printed in gold matte foil on our white Bella Cotton paper.